Jessying - Malaysia Beauty Blog - Skin Care reviews, Make Up reviews and latest beauty news in town! 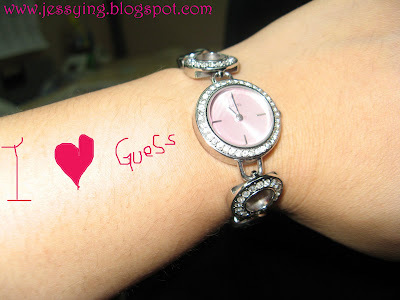 : Guess Promotion! Birthday falls on 25th ? Guess Promotion! Birthday falls on 25th ? 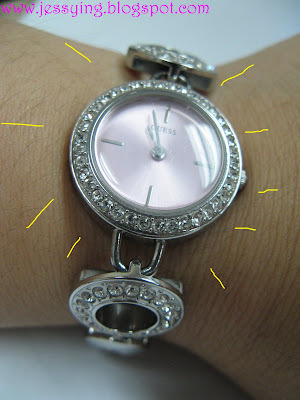 I love GUESS watch... why prejudice to those birthday who fall on other day than 25th? I love anything bling bling !!!!!!!!!!!!!!!!!! 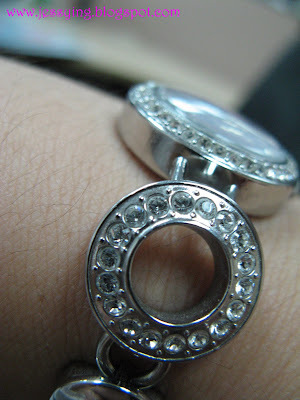 This GUESS watch I got from HK's outlet mall last December for less than RM350 when the original price is double ! Anyway I am going to Hong Kong in April again, need to save to get another bling2 watch !!!!!!!!!!!! Actually I am shoes lover freak!! I should post here one of these day..
p/s: Thinking of shoes make me very angry/sad, the latest Guess collection has very nice design unfortunately their size only starts at 5 and I am wearing 4 !!!!!!!!! u make me wanna dig out my guess watch to post also! whoa.... sad... i'm on the 27th... y y y!!!!!! lets go ask them to make it for all birthday that falls on 2x... 20 to 29... ROAR!!! !